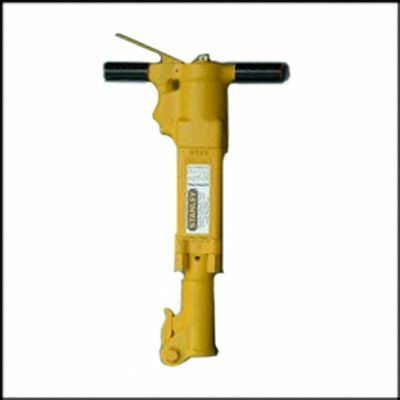 The BR87 breaker is Stanley's heaviest hand held breaker It is designed to run off a HTMA type II hydraulic circuit and the diaphragm accumulator and can handle system back pressures of up to 250 psi./17bar. Designed for heavy duty operations, it can be used by divers in any position and a feathering valve makes start-up and initial placement of the steel easy. Stanley's line of handheld breakers is the largest in the world, with a wide selection of model suited to virtually any application. The BR87 can be used for light to heavy concrete demolition. The BR87 is designed for the heaviest handheld breaker work you're like to run into. 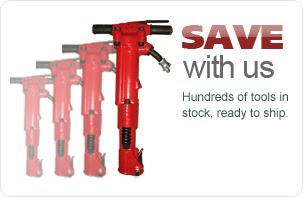 In fact, it's the most powerful handheld breaker on the market today. The BR87 is ideal for bridge demolition, heavy duty driving applications, and underwater applications. Diaphragm accumulator provides trouble-free operation with system back pressures up to 250 psi (17bar). The BR87 operates on an open-center system and is available in 1-1/8" chuck size.